As expected the history has been recreated by Marvel Studios yet again, after a complete year. Seems like its ‘Avengers v Avengers’ all the way! The trailer for Avengers: Endgame which was released on Friday, December 7, 2018, has become the most viewed trailer online in the first 24 hours of its release. It just beat its predecessor. 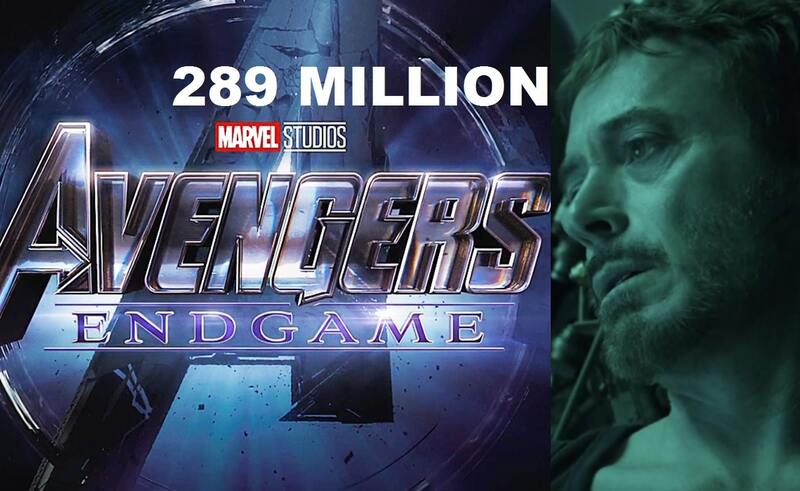 The Avengers: Endgame’s trailer created a new record of 289 million views in 24 hours, thus thrashing the previous milestone of Avengers: Infinity War’s trailer that saw nearly 229 million views; it was first released last year on November 29, 2017. So, there’s a vast leap of 60 million views. Marvel Studios also officially confirmed this, just recently, by posting on Twitter and thanking the fans for creating a new history. With this new achievement, Disney (who owns Marvel Studios) has also become the first ever company to have films whose trailers are the most viewed, in the first day itself, in the history, with Avengers: Endgame (#1 with 289 million views), Avengers: Infinity War (#2 with 230 million views), The Lion King (#3 with 224 million views), Avengers: Infinity War Trailer 2 (#5 with 179 million views), Thor: Ragnarok (#7 with 136 million views), Beauty and the Beast (#8 with 127 million views), and Star Wars: The Last Jedi (#9 with 120 million views). This result was inevitable too since the wait for any footage regarding Avengers 4 movie and its title was seen as the biggest event across the globe. Each day a new prediction used to come about the date of the trailer’s reveal but it didn’t happen. But when it did, the reactions and emotions were all but unstoppable. Though there’s not much action and only sad moments in the trailer, it shows the storyline’s current scenario according to what happened at the end of Infinity War. And fans have been mostly praising the Avengers 4 trailer since it’s highly gloomy, yet greatly emotional. The trailer was also highly awaited for another reason which was the title of the Avengers 4 itself. And now that it’s known to all, there is a feeling of satisfaction. Avengers: Endgame is directed by Joe and Anthony Russo and stars Robert Downey Jr., Josh Brolin, Brie Larson, Chris Evans, Chris Hemsworth, Scarlett Johansson, Karen Gillan, Mark Ruffalo, Paul Rudd, and Jeremy Renner. The movie will be releasing worldwide on April 26th, 2019. Read More: WATCH: Captain Marvel Trailer 2 is Here and it’s Mindboggling! Pingback: Major Superhero Movies of 2018 That Were Just Amazing in Many Different Aspects! Pingback: Avengers Endgame Theories: Tony Stark will die uniting the six Infinity Stones!